"Contact Has Begun" is a fascinating documentary on the life story of James Gilliland from ECETI and his ongoing contact with a very advanced group of Nordic extraterrestrials from the Pleiades star system at the Sattva Sanctuary he has built near Trout Lake, Washington close to the mystical Mount Adams. Mount Adams has for long believed to be a secret passageway to a hidden crystal city beneath the Mountain. The ancient Shamans used to bring the sick and the unwell to Mount Adams to heal, and heal they certainly would once the shaman had called upon the greater forces to relieve the tribesmen of the illness becoming a channel to higher, unseen divinity from other dimensions and planes. Typically, the flying saucers appear as a shining, sometime pulsing light about the size of a dime in front of Mount Adams, 13 miles away. They come closer, moving in and out of the trees, and even overhead. Guests at the sanctuary have many videos and still footage of the strange lights Gilliland knows are ships from other planets. 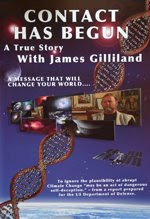 James Gilliland has had face to face contact with these highly advanced (spiritually & technologically) telepathic Extraterrestrial beings and says, they are here now because we are at a crucial point in evolution, a shifting of the ages and need their help to get through some upcoming major cosmic events, and the tumultuous social, economic and physical earth changes we are seeing now that will continue to increase in frequency and intensity ... changes affecting all life on our planet and our solar system ! The contact has initiated an energy ripple which is engulfing millions on our planet progressively each day, adding on to this tremendous surge in energy pushing forth the seed of change and transformation within each one of us, helping us awaken the divinity within and connect with other seemingly separate parts of the one cosmic consciousness experiencing itself subjectively ! 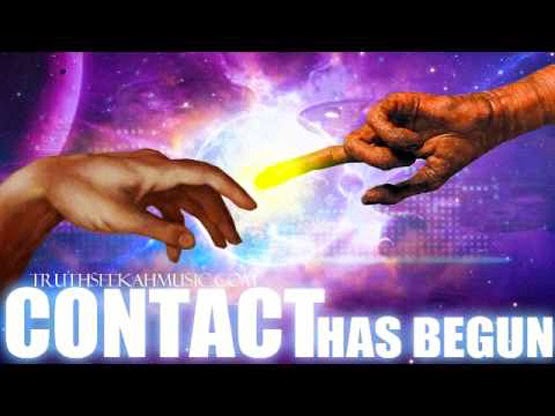 I'm just wondering who does the music at the beginning of contact has begun. Guitar, sounds good. Does anyone know?